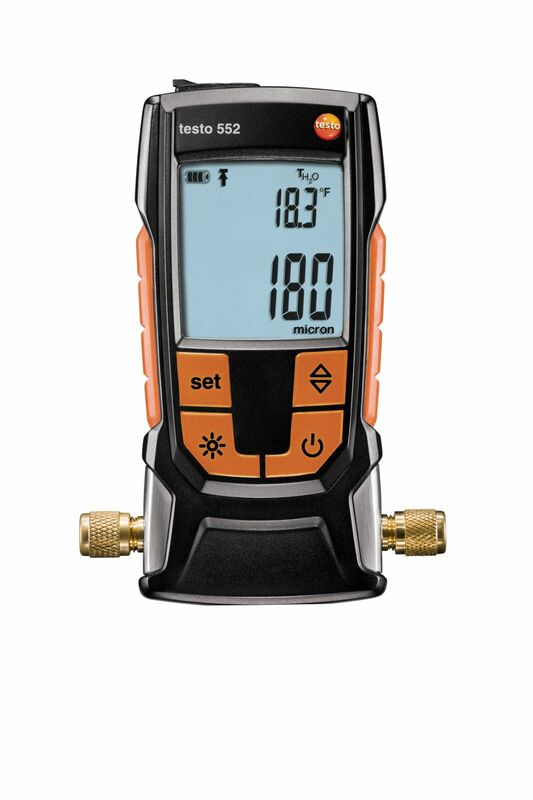 The testo 570-2 digital manifold can replace a whole array of different tools and measuring instruments that you would otherwise need to carry around with when you work on refrigeration systems and heating pumps. 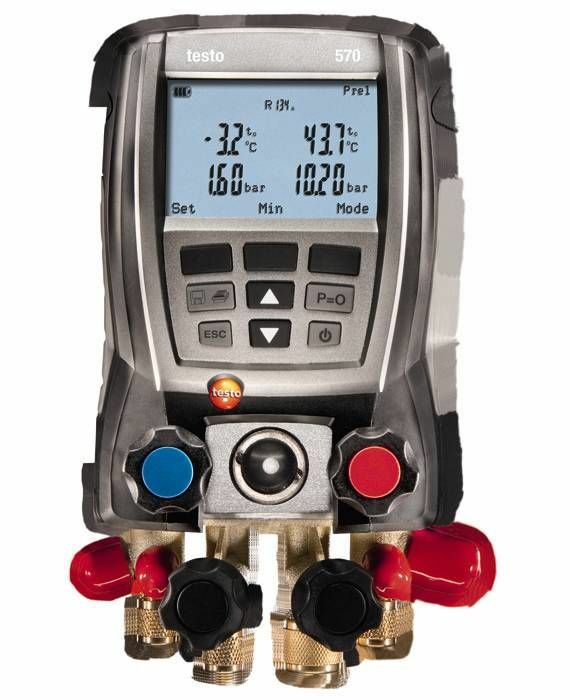 The pressure gauge can measure, analyze and log pressure, temperature, electricity and vacuum measurements and save all measuring data right from the moment the unit was first used to servicing and maintenance to the fault analysis of a system. 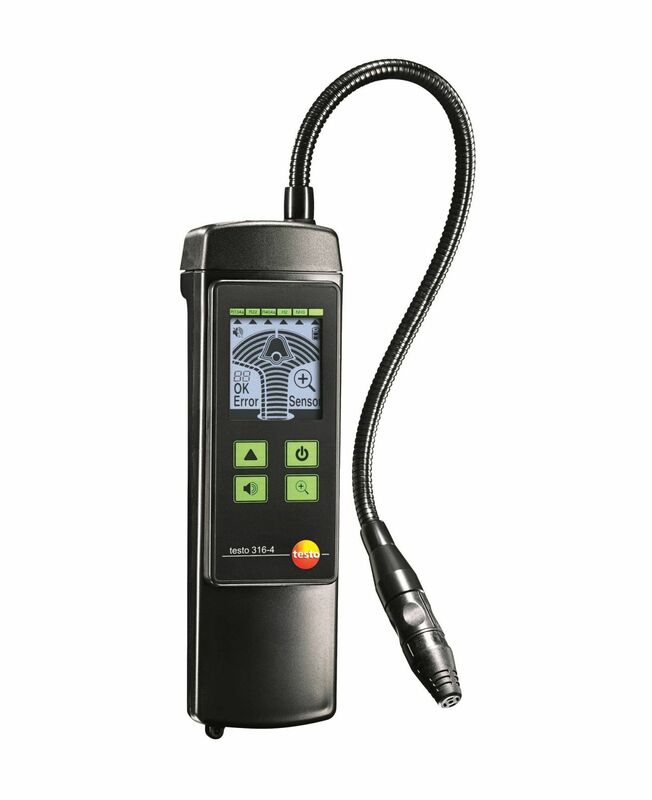 The scope of supply for the digital manifold includes a two clamp temperature sensor which can be clamped directly onto the pipe in order to ensure that the surface temperature can be measured safely. 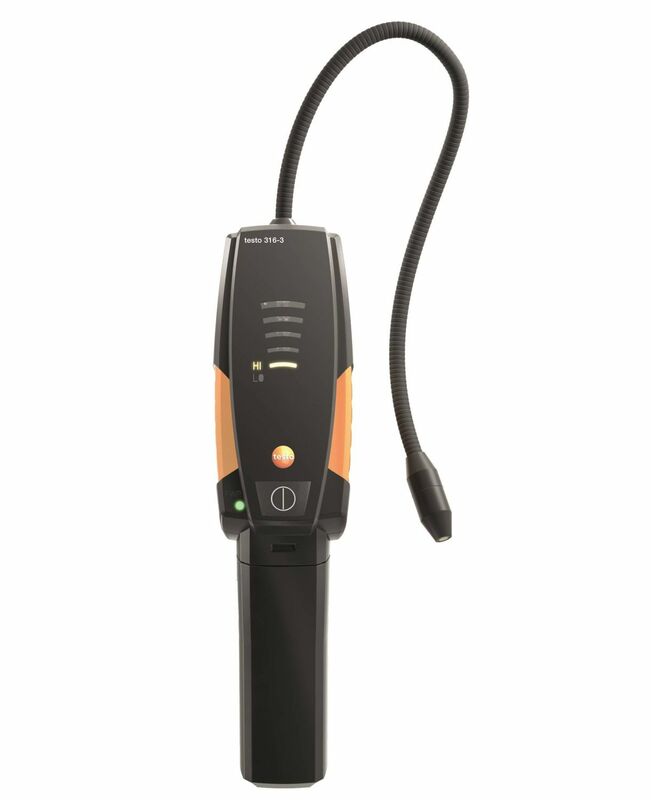 There is a wide selection of optionally available sensors for carrying out temperature, electricity and oil pressure measurements. 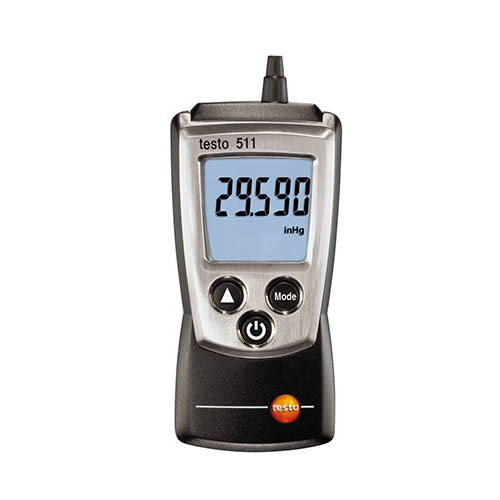 The testo 570-2 digital manifold is a compact, sturdy, easy-to-use pressure gauge with 4 connecting points, 4 hose brackets and an inspection glass. 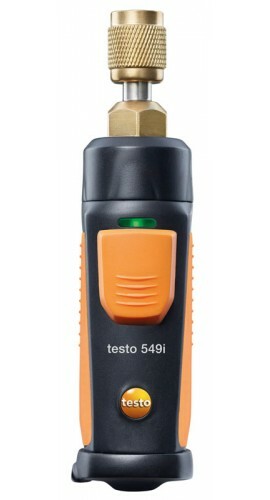 The testo 570-2 allows you carry out your work and service and maintenance tasks quickly, safely and efficiently. 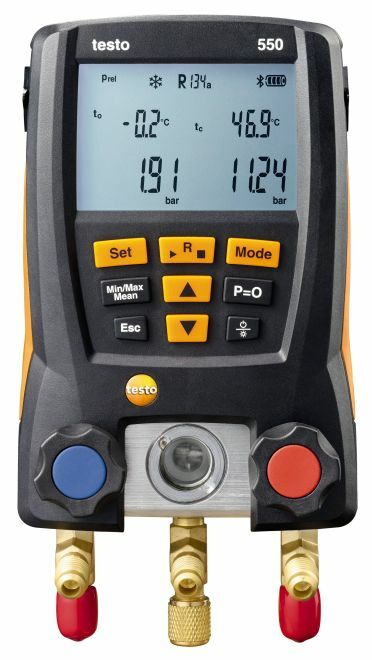 The rugged housing protects the testo 570-2 digital manifold against impact while a suspension attachment ensures that the meter is safely positioned during measuring. 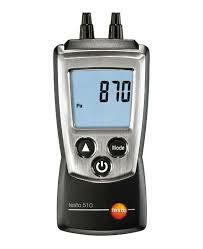 A large, backlit display ensures that you can read the measurements even in the dark or in poor lighting. 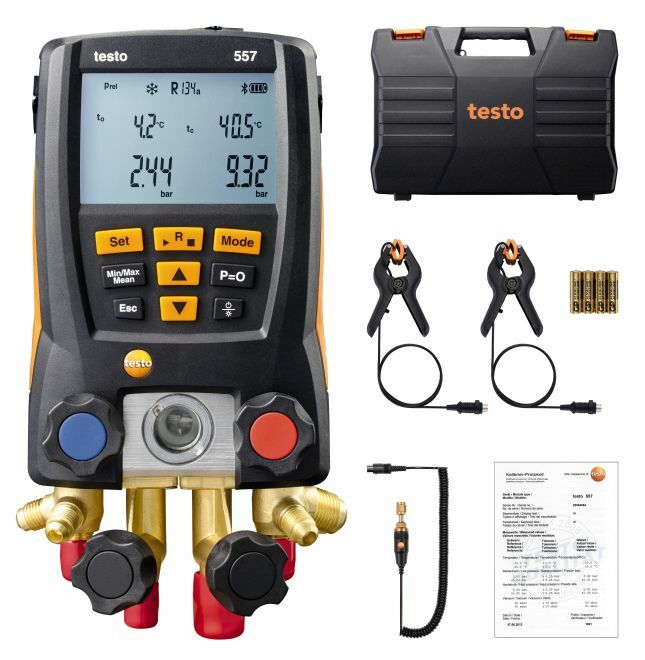 testo 570-2 digital manifold, 2-clamp temperature sensor, “EasyKool” PC software (free download), USB data cable, system case, power adaptor, calibration protocol, batteries.